Khao Yai, A UNESCO World Heritage Site, is Thailand's third largest national park. There are mountainous landscape, with fertile valleys, pounding waterfalls and rich biodiversity. In fact, there are over 50 km of hiking trails. From easy to hard, 1 hour to 3 days, Night time wildlife sport lighting is one of the most favorite activities to do. Hello Hostel Pakchong is home to 3 bedrooms. 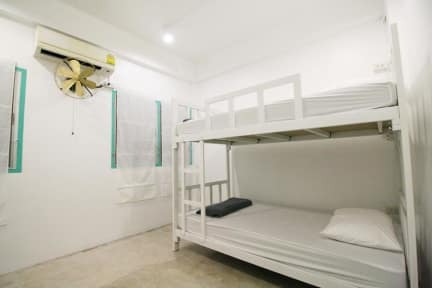 All rooms are fully furnished and many even provide such comforts as non smoking rooms, air conditioning, chill balcony, chill balcony, Wi-Fi and television. With it convenience store. Therefore, guests can enjoy easy access to all that Pak Chong city has to offer.